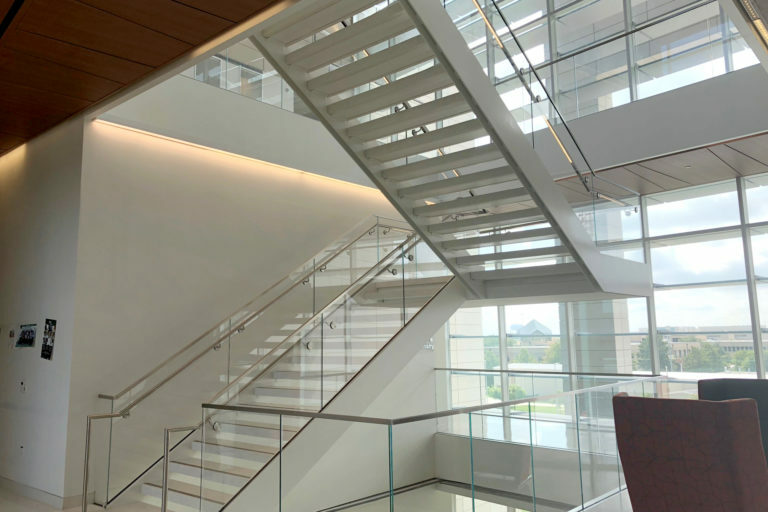 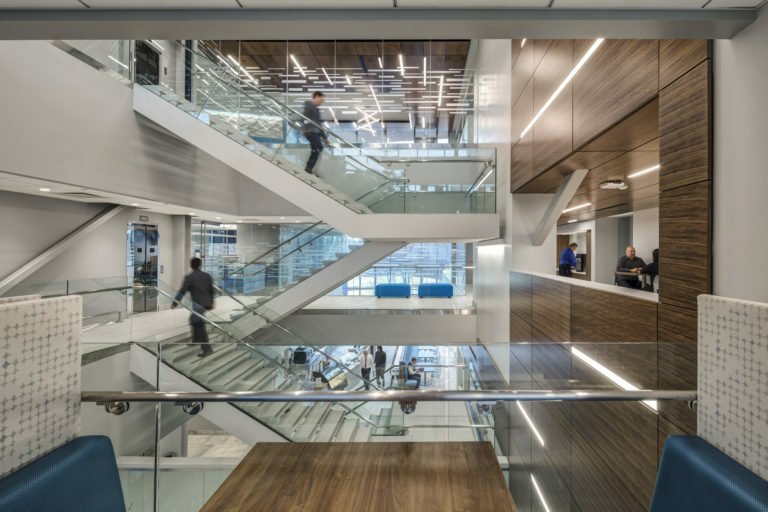 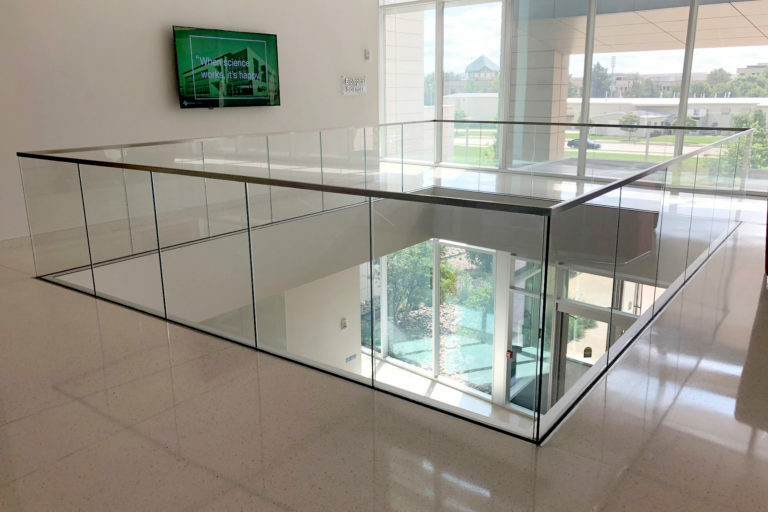 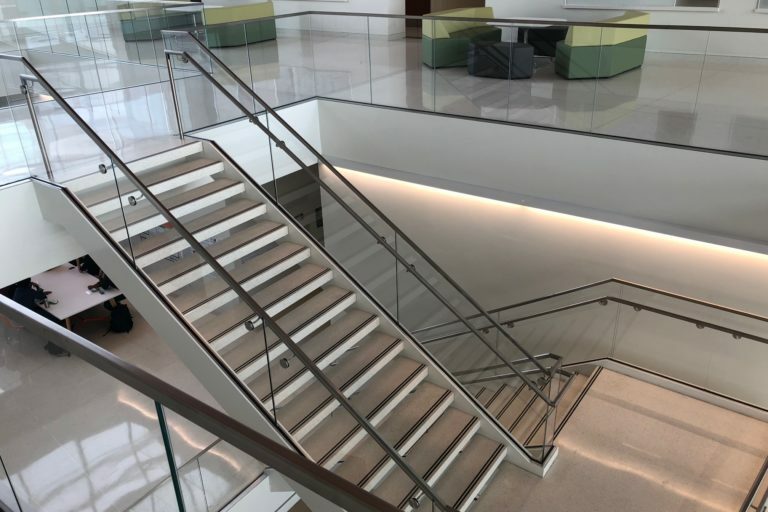 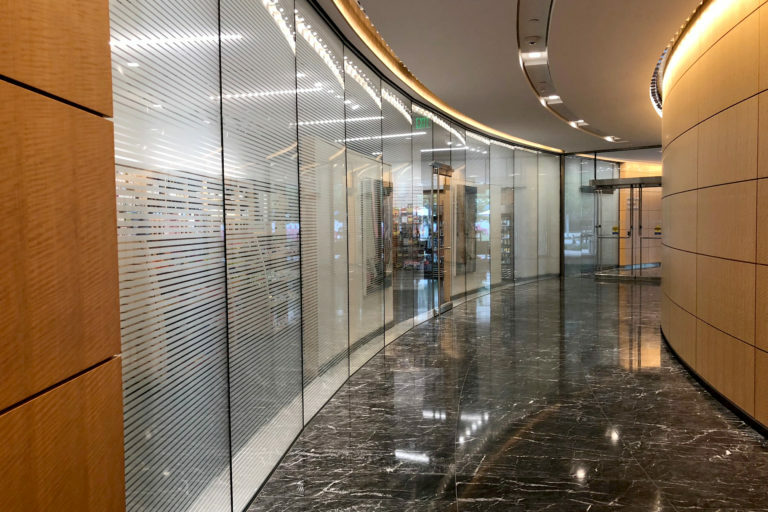 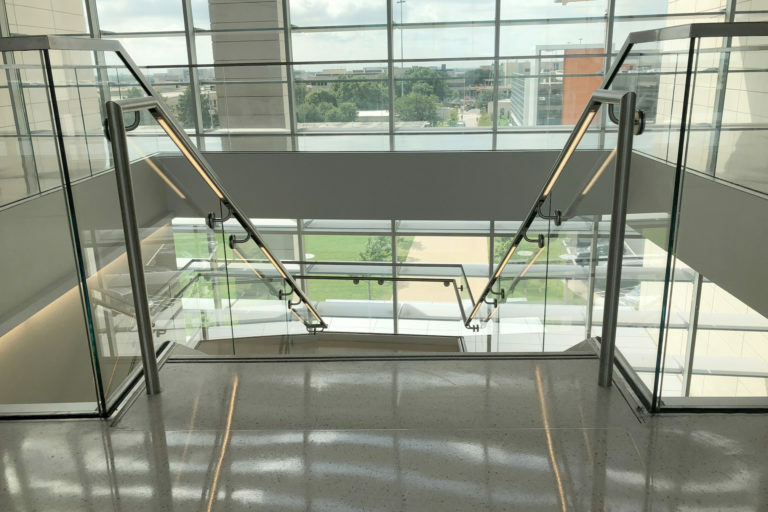 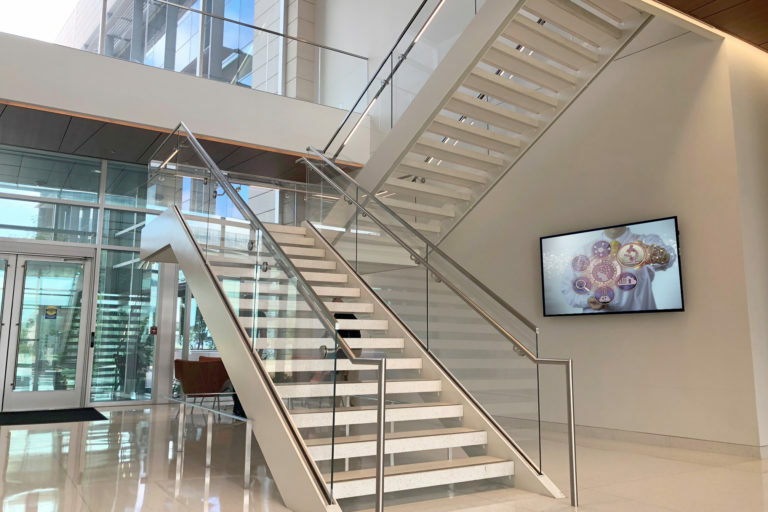 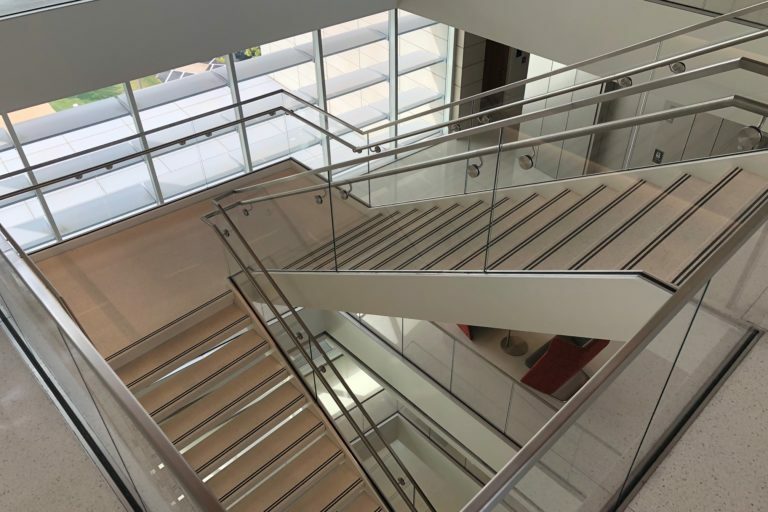 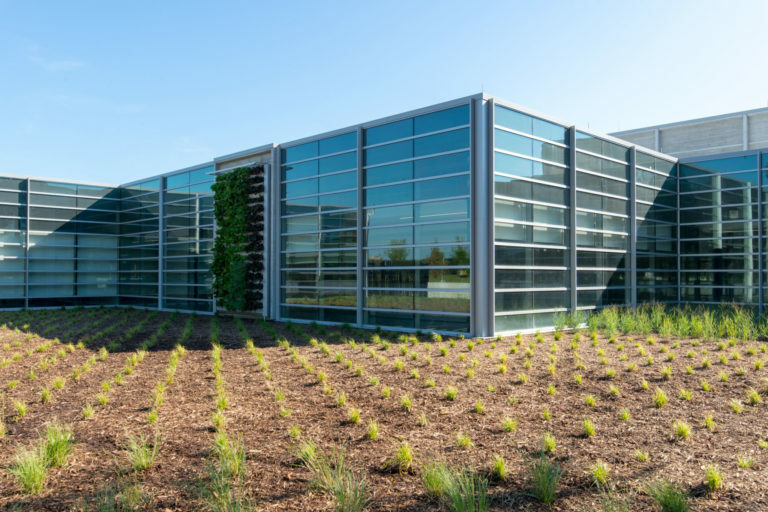 The Bio-Engineering building at the University of Texas at Dallas, features an engineered glass and custom metal guardrail fabricated by Glass + Mirror Craft. 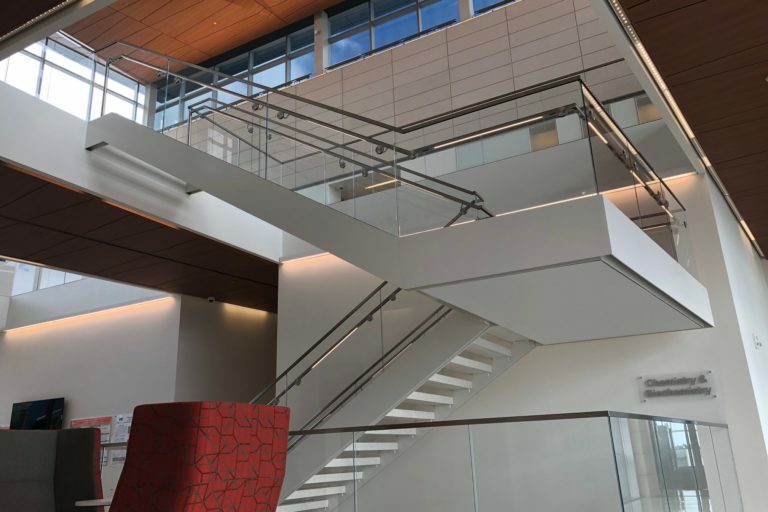 Attention to detail was only a part of the challenge for this unique guardrail, we also had to provide a lighting system. 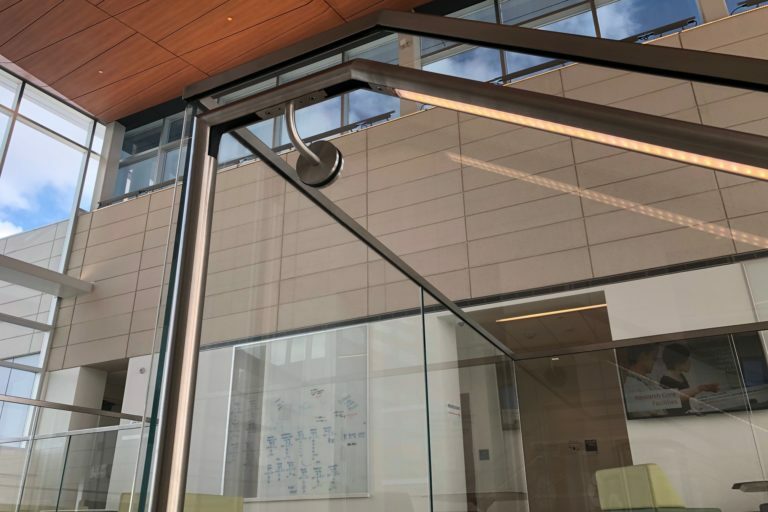 Custom machined pockets and chase-ways had to be designed and fabricated to facilitate ease of installation and accommodation of LED lighting. 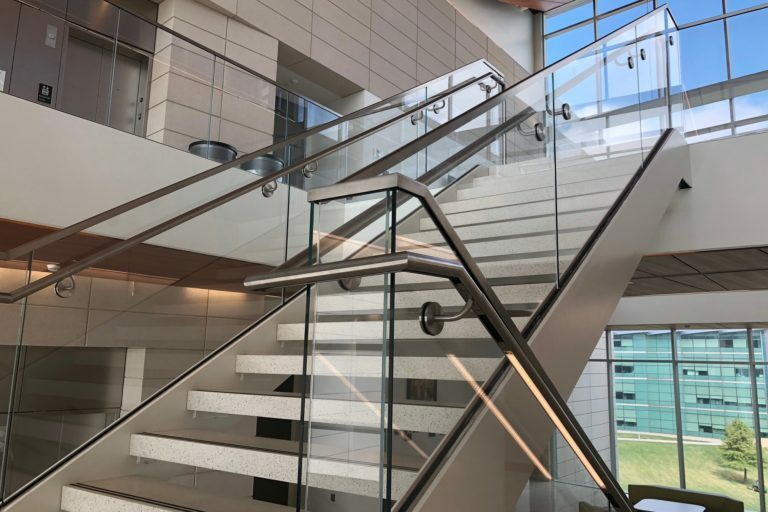 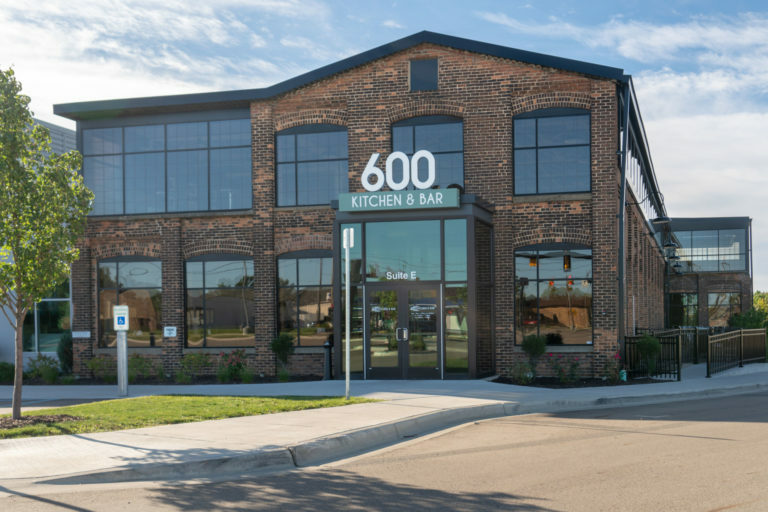 Cuda Metals, our metals department executed flawlessly resulting in a system that compliments the buildings design as envisioned.